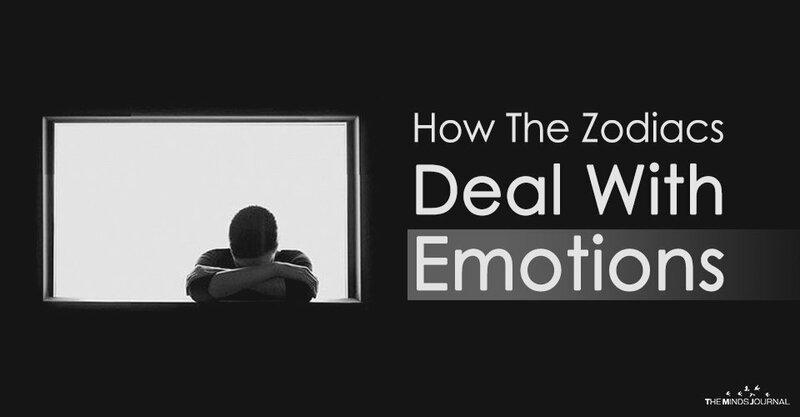 We all have our emotions, and in the current world that we live in, some of us don’t want to show our emotional side. Sometimes, this vulnerability can be a frightful thing and hence we find it better to keep it to ourselves. However, it’s not always the best thing to keep our true feelings hidden from the world just because of the fear of vulnerability. When it comes to emotional wisdom, Aries tops the list. When they are emotional, they would let it out. But before doing so, they would check whether being emotional will be helpful for them or not. This help could range from materialistic to emotional growth as well. Aries keep their cool most of the times and even though they might get emotional, they generally keep themselves under control. Aries does get excited or angry at times, but these outbursts occur at rare moments. For the stubborn Taurus, emotions are one of the top things that are difficult to deal with. Their emotions affect them deeply, but unlike most of the Zodiac signs who keep their emotions locked up, when Taurus gets emotional, it shows. Their stubbornness starts shaking and they start appearing a little bit silly. But being emotional is never a good thing in their books and so when they finally realize it, they would like to burst out – scream, cry or do both. According to Gemini, true emotions should be kept private. So, when you are going through the posts of Gemini on social media, don’t believe it to be their real selves. They have the ability to hide really well and can act in a certain way based on the situation that they are currently in. For example, if a Gemini is upset with anyone, they would act like they don’t care about them. They can do the same when they are with people who are not close to them. Cancers embrace who they are – emotions and all. They are not able enough to hide their emotions – you can see it on their face or in their actions. Plus, they can’t lie properly as even lying reveals more about their emotions than they want to. Cancers fail to control their emotions when they are angry or sad and that is completely all right for them. While there are certain people who don’t like them because of their inability to handle emotions, they would rather be honest and vulnerable. For Cancerians, their emotions are their true strength. Related Video: 6 Cold-Hearted Zodiac Signs, They Hardly Feel Anything! The proud Leo doesn’t think of how you would feel about something when they do something or expose it. Generally, Leos want to keep it authentic as they know that there is nothing that can stop them from showing their real selves to the world. It is the best way to be empowered after all. So, for Leos, expressing themselves emotionally from the beginning is a kind of strength. Plus, sometimes, they would like to reveal something for no reason at all, just to get a reaction.